Sold. This is one of the very first ornaments I painted. I had intended these to be very quick and painterly as this one is, but as I got orders to do customs, they began to take on a new life and became like mini masterpieces. This is one of what I call my generic breed specific ornaments, not at all a custom. So, when I have time, I will paint a few random popular breeds for the quick last minute Christmas gift for my customers, or to place in galleries in my area. I rarely have enough time in the year to do this, so they are hard to find and getting more scarce the busier I get. 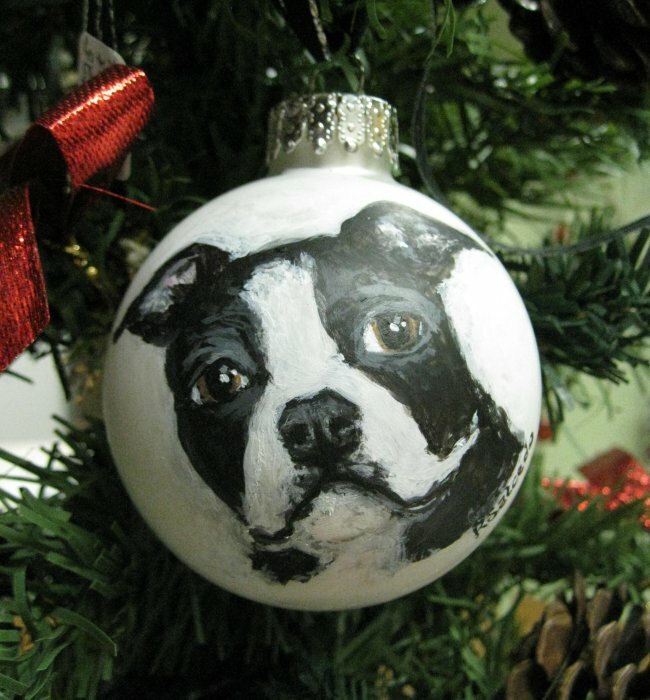 You can, however, order your own custom hand painted ornaments for any pet or loved one and they will be a more precise likeness to your pet. I paint from photographs, and I do my best to make the process as easy and joyful as possible for you! For more information or to order your own, click the purchase link below. Please order by October 1st to allow for my 4-6 week lead time for guaranteed Christmas delivery and free US shipping!